Arizona State University's School of Public Affairs is helping the city of Phoenix improve its impact on the environment by suggesting ways to make better eco-friendly purchasing decisions. A half-dozen faculty members and researchers conducted focus group interviews with city procurement specialists. These interviews helped identify barriers that had prevented the city’s Environmental Procurement Policy from being implemented. The city policy sets the scope and procedures for purchasing products and services that have a reduced effect on human health and the environment. The goal is to utilize sustainable products and services while remaining fiscally responsible. ASU researchers identified complex organizational barriers in how purchasing is managed across city departments. They also found trade-offs between purchasing criteria that compete with greener, more eco-friendly options. 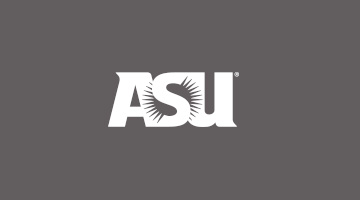 The pro bono work by professors is part of a broader, collaborative approach by ASU’s Center for Organization Research and Design, a unit within the School of Public Affairs. The center promotes, supports and conducts high-impact, use-inspired organization design research. The research project was undertaken by Darnall, professor Stuart Bretschneider, assistant professor Lily Hsueh, assistant professor Justin Stritch, postdoctoral researcher Melissa Duscha and graduate research assistant Jeffrey Iles.